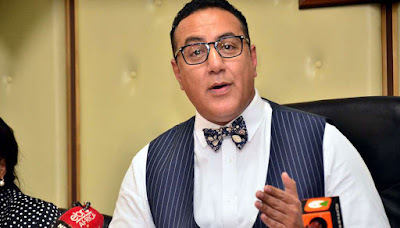 US FBI blacklist includes Tourism CS Najib Balala and two Governors linked to Akasha drug deals - Bana Kenya News, Real African Network Tubanane. The Akasha brothers source of security in Kenya has been revealed by FBI in the US. During the Kenya Airways tour and groundbreaking done in the US, the Kenyan delegation only accompanied by foreign affairs cabinet secretary Monica Juma did not have tourism officials. Cabinet Secretary for tourism Najib Balala is on the US wanted list over links to the Akasha drug barons, Baktash Akasha and his brother Ibrahim Akasha. Balala is believed to be among the more than 10 prominent Kenyans that the US Department of Justice is investigating over allegations of taking bribes from the notorious Akasha drug family. According to reports by the Daily Nation, other officials on the US wanted list are an outspoken Rift Valley MP, a prosecutor, two High Court judges, two magistrates, and a senior criminal investigations officer. Other officials that are mentioned in the list are two Governors and one Senator. They are mentioned as contributors but not directly associated with the Akasha brothers. It has been a long battle dealing with drug barons in Kenya that led to massive destruction led by President Uhuru Kenyatta.